At Aurora, we offer recreational and competitive dance genres. Anyone can participate in our recreational classes but for those seeking an extension to ballet, they progress in the Modern Theatre. “Modern Theatre dance is a rhythmic dance style originated in America. It is often seen on the stages of musical productions and is known for its theatrical qualities. The style uses travelling steps, high kicks, leaps and turns which all need strength and flexibility. This is a highly energetic dance style. It had been designed to invigorate a child’s imagination, developing the skills and strengths required for Jazz and Contemporary”. Young kids are starting to be multi dance genres capable which is now a “must have“in the dance industry. 4 months prior to the examination they will be required to attend exam preparation classes once a week. The syllabus work is fun and requires the student to be aware of the differing rhythms ,accents and moods. 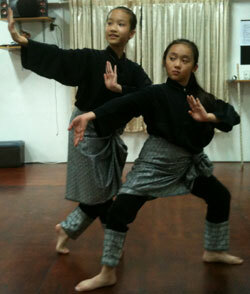 As they progress in their training they are introduced to more music genres, the history and the related dance styles. Appreciation for world music as well as western styles like rock and blues becomes more apparent. To make them realize and appreciate the strenuous and very disciplined ballet training has taken their dance ability to higher levels and competence. 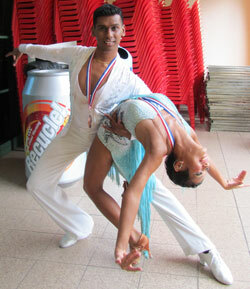 Ballet and modern dance students are always selected for commercial and stage and Television performances. They are generally much stronger dancers, are quicker to pick up steps in choreographic works. On completion of the advanced 2 students can audition for full time undergraduate courses majoring in contemporary dance in colleges overseas. Some commercial choreographic projects are passed to advanced students. They are expected to actively be involved with the selection of music, choreography, training of dancers and the creation of costumes for the project. Many of these students are between the ages of 16 – 19. Advanced students are also trained for their first professional teaching examination. We open this course to our Classical and Modern Dance students. Our classes are fast paced as students have ballet and modern dance training. Some of our Advanced ballet & modern students take up dance sport to perform in corporate functions, compete in their free time and as a stamina building activity. Aurora students compete at all levels in local and International dance sport championships a few times a year. Students take the medal tests annually under the IDTA or the WDC organization. Adults can also take medal tests for both ballroom standard and Ballroom Latin.